There's nothing unusual or different about the Brocket family - and they're keen to keep it that way. 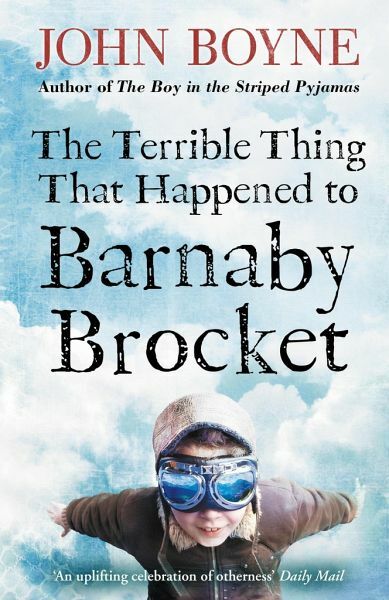 But when Barnaby Brocket comes into the world, it's clear he's anything but ordinary. To his parents' horror, Barnaby defies the laws of gravity - and floats. Soon, the Brockets decide enough is enough. The neighbours are starting to talk. They never asked for a weird, abnormal, floating child. Barnaby has to go . . . Betrayed and frightened, Barnaby floats into the path of a very special hot air balloon - and so begins a magical journey around the world, with a cast of extraordinary new friends. Oliver Jeffers is a visual artist and author working in illustration, painting, collage, and sculpture. His critically-acclaimed picture books have been released internationally and translated into over thirty languages, and his artwork has been exhibited at institutions including the Brooklyn Museum in New York City, the Irish Museum of Modern Art in Dublin, the National Portrait Gallery in London, the Ulster Museum inBelfast, and the Palais Auersperg in Vienna. Oliver has been the recipient of numerous awards, including a New York Times Best Illustrated Children's Books Award, Irish Book Award, Texas Bluebonnet Award, and United Kingdom Literary Association Award. He will release his fifteenth book as author and illustrator in late 2016. Oliver grew up in Belfast, Northern Ireland; he currently lives and works in Brooklyn, New York.